The weather wasn't what we had hoped for in the proceeding days, but this time of year, it is to be expected. 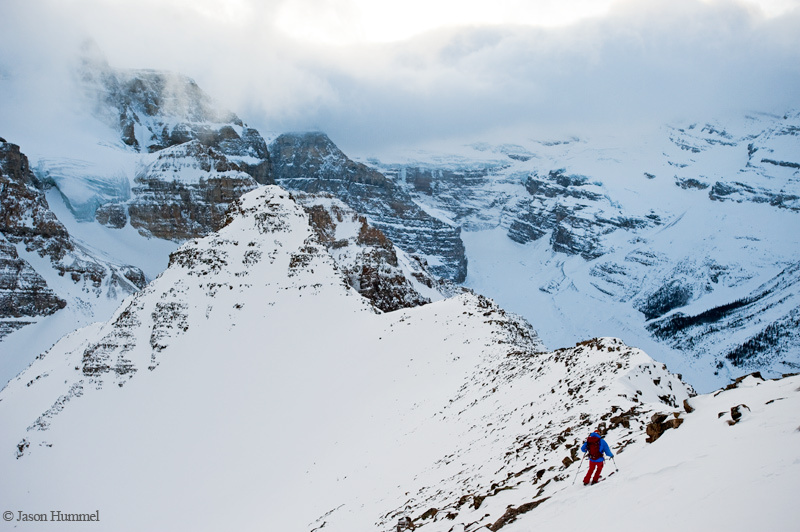 Our hopes for skiing on the Columbia Icefield were forced to wait. 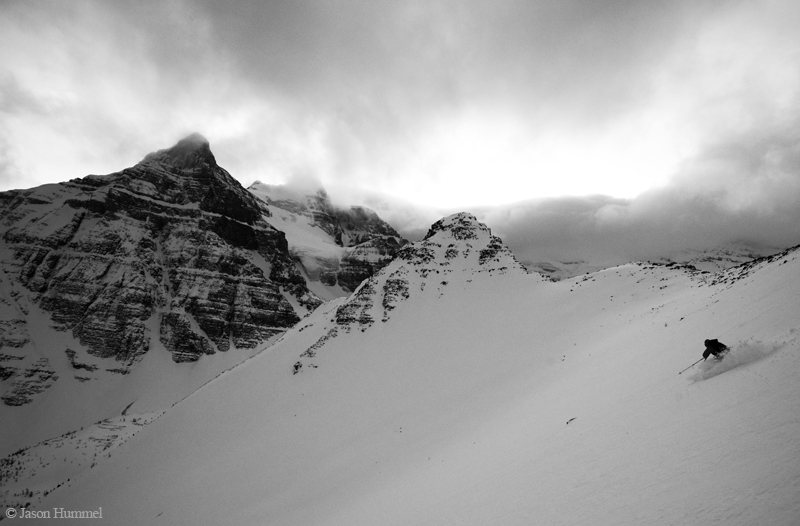 We chased good weather west, eventually deciding on Lake Louise. Once we arrived, the weather didn't look great. From a local we'd discovered there was a nice tour that went around Mount Fairview. With little time, we figured it was a good bet. We were in for a surprise. It turns out there are a lot of trails. We took the wrong one, adding almost 4 miles of 'uphill both ways' to our tour. Now, a few hours later than our already late time, 1:30p.m., we set off up the correct trail. Too bad there wasn't more daylight in January! An easy skin took us past some other skiers who turned around. 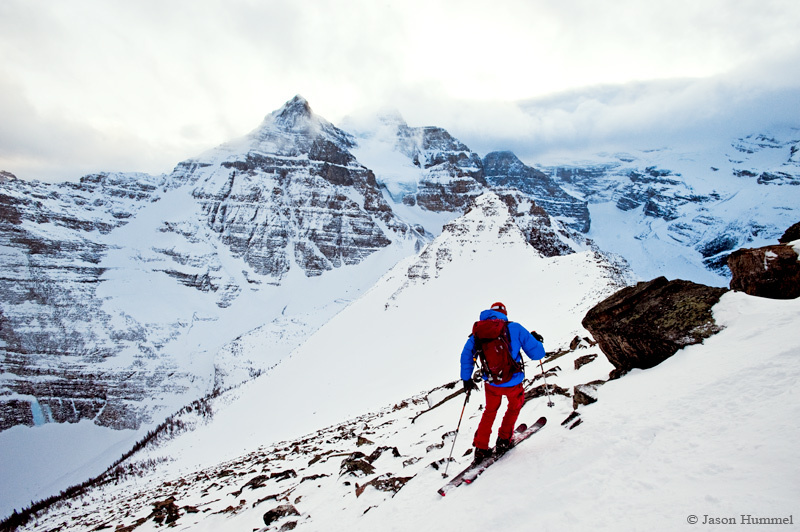 Fairview looked so close, so we donned our skis and booted up snow covered rocks hidden just enough to be quite a hassle. At over 9,000-ft, the top looks out over Mount Victoria, Haddo and Aberdeen Peaks. Hanging glaciers and fog presented quite the view. The ski was hardly what we expected, but it should've been. Fields of rock awaited our edges and bases. Thin white hairs were left on many a rock. But soon we escaped to open fields and brushed off the memory before proceeding to TURN. 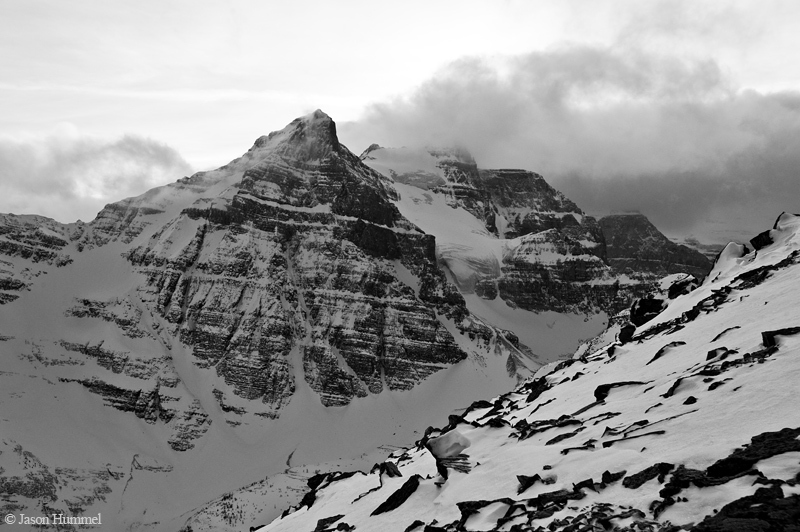 A few moments later, as dusk motored on by, we put on skins for the last climb to the col that looks down toward Lake Louise. At the col, 10 minutes before there was no light whatsoever, we bombed down the couloir on a foot of powder all the way to the lake several thousand feet below. 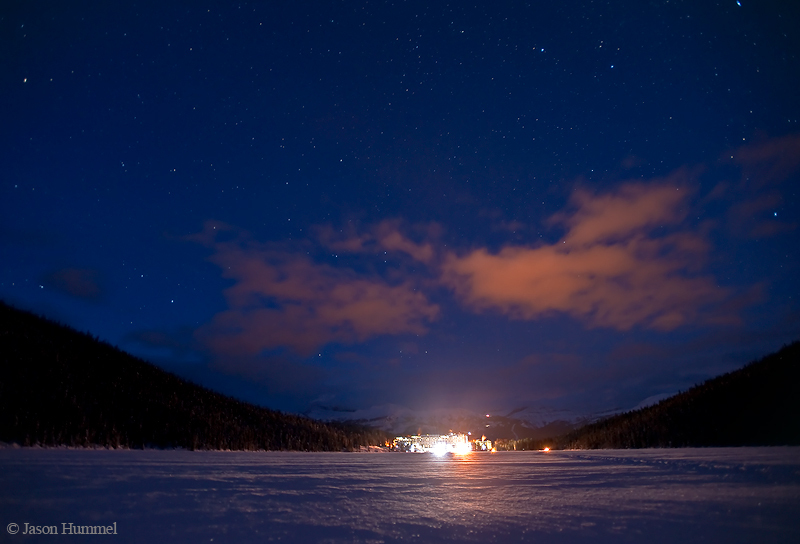 Skiing across the lake in the dark, with lights of Lake Louise's Chateau marking our progress, the clouds that had enveloped the sky all day, split apart and a beautiful night hung over us all the way back to our cars. 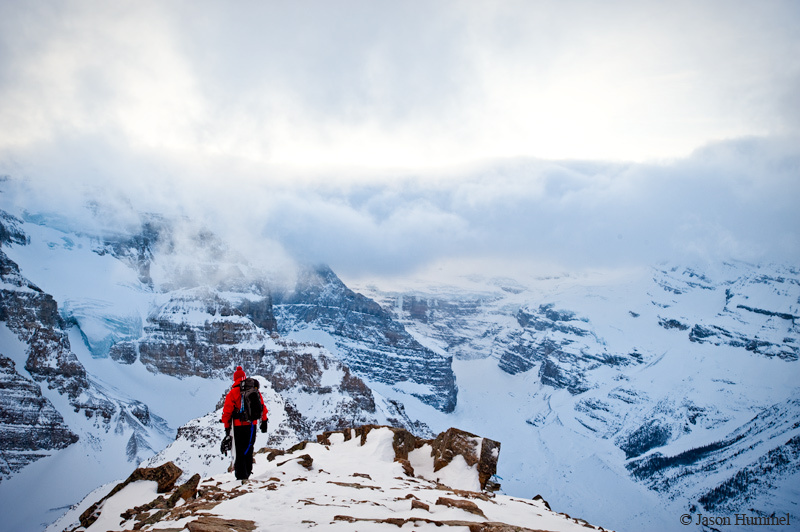 It was a great way to end our time in Banff National Park. Whenever I get another opportunity, I’ll be back. There are too many things to name that are calling out for my attention. Until then, I hoped you enjoyed this little report!